Green Infrastructure (GI) is an approach for managing urban stormwater that seeks to promote and restore natural hydrology in urban watersheds. 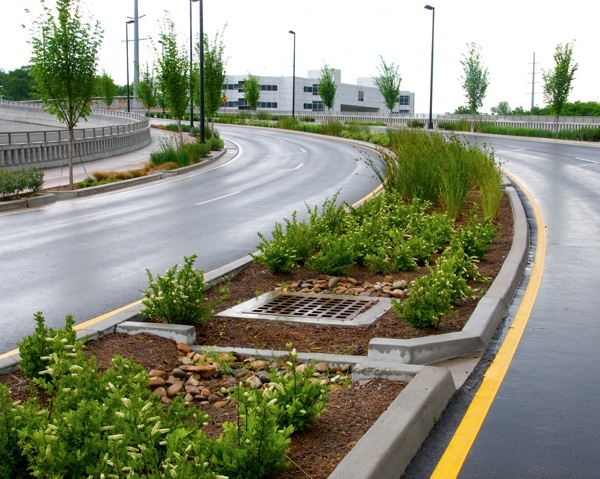 In urban areas, stormwater runoff has been identified as a major cause of water pollution as it picks up pollutants such as trash, bacteria, nutrients, and metals while traveling across impervious surfaces. At OWSI, we explore how GI may help reduce the impacts of urbanization. Our team recognizes the many co-benefits associated with green infrastructure. OWSI experts examine performance, costs, benefits, and even potential unintended consequences in use of GI for urban stormwater management.